One week after announcing plans to resign as chairman of Alibaba Group Holding Ltd, Jack Ma made three speeches in a row addressing how technological advancements such as artificial intelligence will shape the future. Chinese Premier Li Keqiang on Thursday held a dialogue with representatives from communities such as industry and commerce, finance, think tanks and media outlets attending the Summer Davos 2018 in Tianjin. China will further open its financial sector, reduce taxes and fees, and better protect intellectual property rights, Premier Li Keqiang told business, financial and think tank leaders during Summer Davos Forum in Tianjin on Thursday. China's outbound investment has become a hot topic at the ongoing Summer Davos 2018 as foreign participants to the annual meeting are eager to know more about the preferences and principles of Chinese investors. Despite economic uncertainties at home and abroad, policymakers, business leaders and industry experts are optimistic about China's economy as they gather for the Annual Meeting of the New Champions 2018, also known as Summer Davos. China has become a fertile land for global entrepreneurs and innovation, with new growth drivers breaking new ground for the country's economic development, Chinese Premier Li Keqiang said Wednesday. Premier Li Keqiang called on Wednesday for safeguarding economic globalization and accelerating the new industrial revolution by promoting more inclusive development, innovation and new drivers for economic growth. President Xi Jinping welcomed foreign leaders on Tuesday who are in China to attend the Summer Davos Forum, and he called for greater joint efforts in constructing the Belt and Road to better benefit their people. 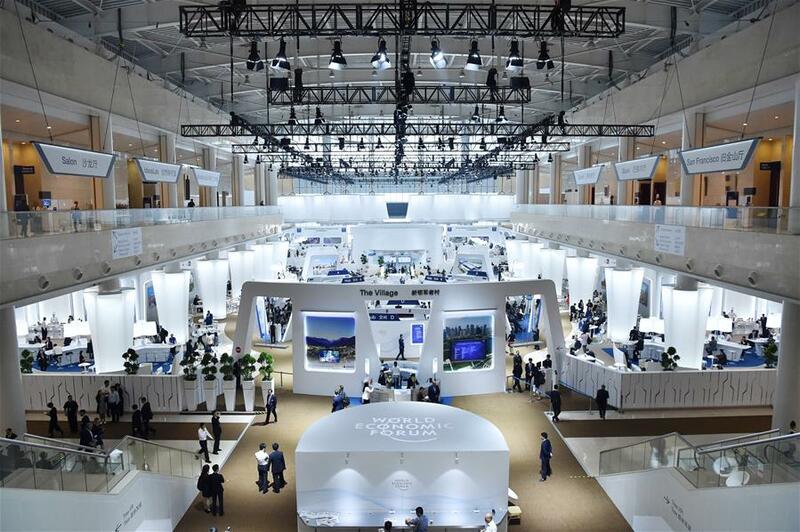 The Annual Meeting of the New Champions 2018, or Summer Davos Forum, will focus on shaping innovative societies in the fourth industrial revolution, when it is held in north China's Tianjin Municipality this week.